Hebrews 4:14-16 Therefore, since we have a great high priest who has ascended into heaven, Jesus the Son of God, let us hold firmly to the faith we profess. 15 For we do not have a high priest who is unable to empathize with our weaknesses, but we have one who has been tempted in every way, just as we are—yet he did not sin. 16 Let us then approach God’s throne of grace with confidence, so that we may receive mercy and find grace to help us in our time of need. The Lord wants me to share this verse with you today. Jesus understands everything that we are going through! Praise the Lord! So we need to hold on tightly to our faith in our High Priest! When we pray…we should be bold and confident! And this is the part that touches me so…..
GOD WILL HAVE MERCY ON US…..HE WILL FORGIVE US….CLEANSE US AND THE GRACE OF GOD WILL BE THERE FOR US WHEN WE ARE GOING THROUGH OUR TRIALS!!!!!!!! God said He will be gracious to whom I will be gracious ( Exodus 33:19) And His graciousness is for me and it’s for you! I need a god who will extend mercy to me and who will be with me and help me in my time of trouble. This makes me feel safe and secure. No matter what you are facing today….meditate on Hebrews 4:14-16….Be encouraged! Psalms 103:11 For as the heaven is high above the earth, so great is his mercy toward them that fear him. We are so blessed by God’s holiness. Even our trials and our suffering are blessed because it’s helping us to be all that God wants us to be in Him. This is very hard to figure out and accept. God’s holiness has a chain reaction in our lives which we cannot see it because it’s all happening in the spirit and not by our sight. God doesn’t always explain why He allows us to go through things but we have a guarantee of His mercy. In trying to understand about His holiness I know that all His motives are pure and I now understand why He said He will give us new mercies every morning. We need them because in our day we are probably going to go through something trying. We need God to be merciful. We could have an accident, get sick or anything could happen to us or our family….but that mercy is there for us coming straight from the heart of God to our lives. Job 2:10 He replied, “You are talking like a foolish woman. Shall we accept good from God, and not trouble?” In all this, Job did not sin in what he said. It’s good to know that this scripture is in the bible and we should try to understand what it’s saying. God is Holy and wise and when He allows the good and bad to happen…we should TRUST Him. We may not understand now…but He knows what He’s doing and we can be confident in The Holy One’s ability to care for us. The bible says that all things will work out for our good….believe it! Another reason for needing mercy is that because of the holiness of God we could come under some hard judgment. We can’t stand up under His holiness….so because of Jesus Christ…we have an intercessor and advocate. God has shown us so much mercy. We have a holy and just God and we also have a very merciful and loving God. God knows how powerful His holiness is. He protects us from it because if He didn’t we would all burn up like straw from His wrath and judgment….but oh for His mercy and His grace! 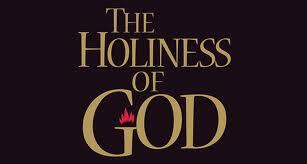 We need to really think about the Holiness of God because this is a large part of our Christian life! We pleases God when we are holy because our Lord and Savior came down here and let Himself be disrespected, mocked and abused so that we can be saved. He wanted us to be with Him for all eternity. Because of God’s Holy nature… this would not have been possible had Jesus not done what He did. Our holy God even came to live inside of our human bodies so He can give us direct guidance so that we will learn to be Holy, acceptable and pleasing to Him..
Our Holy God has done everything for us!! Everything He has provided for us has come straight from His heart out love for us. It wasn’t easy for His Son to make our redemption, salvation and sanctification possible. Think about the anguish Jesus went through before He was even crucified. Jesus prayed so hard at Gethsemane and even asked His Father to take the cup of suffering away if possible. Not because of the physical suffering… although that was going to be very difficult and severe. Jesus had suffered before living for 40 days with no food. It was a Holy God’s Son taking on all humanities sins and having His Father remove His presence from Him. Jesus is God and He wanted to take care of sin for all of us. For a Holy God… this was a very big sacrifice!!!!! See how merciful God is? Can you really see it now? We need His mercy because of His holiness!! 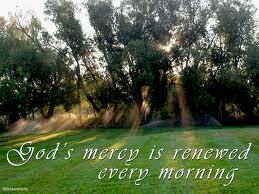 Psalms 123:3 Have mercy on us, LORD, have mercy on us, for we have endured no end of contempt. 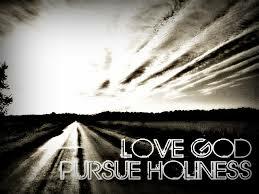 It’s all about the Holiness of God…and His love for His creations! His holiness goes hand in hand with His mercy. I have cried out it the midnight hour (meaning heavy suffering) “Have mercy on me Lord!! !” I feel very secure that God is faithful and the His mercies are new every single solitary morning…and on top of that I have His grace too!! But I will never want to take advantage of God and demand His help. 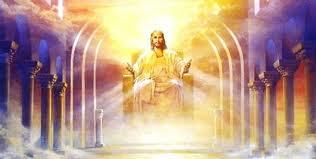 He is wise and holy and I know because of His holiness that He will do the wisest things on my behalf. I do ask boldly because He said I should…but I ask according to His will also. I know what He’s promised me in His word (the bible) and I stand on that just like Jesus did when He was here on earth. Thank God I’m the daughter of a Holy God! I can be 100% sure that He has my BEST interest at heart!!! He’s holy, Holy, Holy!!!! All praise, Glory and Honor be to our Holy God! Message for today: God is Holy…and His mercies endureth forever!!!! We need to praise God for that!